20 Aug : In an effort to improve the health of adolescent girls, the Government on Thursday decided to continue with the nutritional programme for them during this fiscal in select 51 districts till a new scheme is approved. The decision was taken at a meeting of Cabinet Committee on Economic Affairs (CCEA), Union Home Minister P Chidambaram told reporters in New Delhi on Thursday. “The CCEA gave its approval for continuation of the scheme in 51 districts as per the existing guidelines till the Rajiv Gandhi Scheme for Empowerment of Girls is approved,” he said. With the implementation of this project, he said, it is expected that the nutritional status of adolescent girls in the select districts would improve. 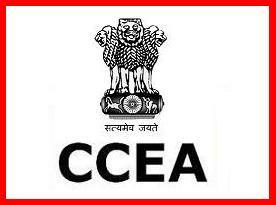 The CCEA also approved release of central assistance (100 per cent grant basis) to states and union territories out of the allocated amount of Rs 162.77 crore for 2009-2010, he said.